From its arresting Yuzu exterior paint and full aerodynamics kit, to the GT86 Black seats with FR-S signature T-pattern inserts, the 2015 Scion FR-S Release Series 1.0 radiates pulse-pounding driving fun. And it has arrived in Canada in limited quantities, so there’s no time to hesitate. 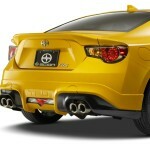 The 2015 FR-S Release Series 1.0 is immediately recognizable by its eye-catching Yuzu exterior. 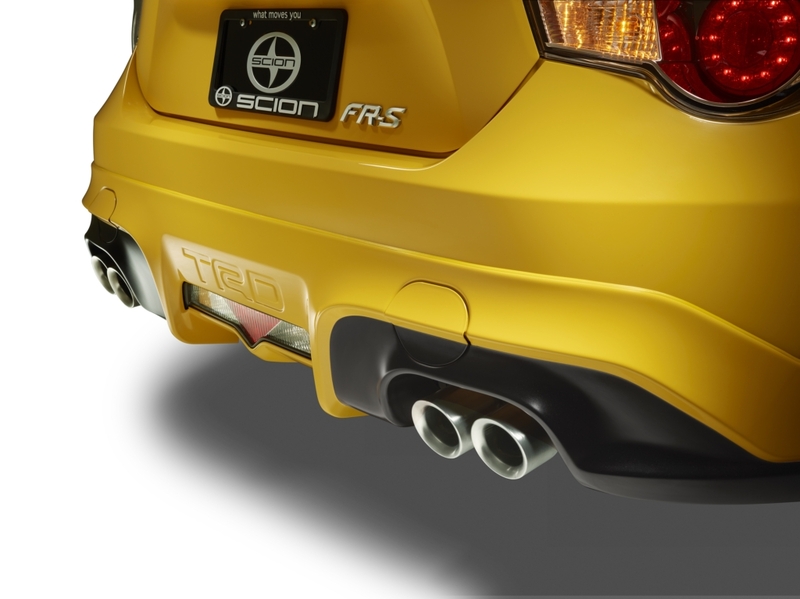 Curb appeal and performance are both enhanced with a full aerodynamics package and three-piece rear spoiler from TRD – the Scion/Toyota in-house tuning division. Closer inspection reveals additional details, including a TRD side fender garnish, HID headlamps with LED daytime running lights and a TRD quad-tip exhaust system. Inside, the FR-S RS 1.0 is designed with performance driving in mind. A thick, leather-trimmed TRD steering wheel provides a solid grip for confident cornering, while a leather-trimmed TRD shift knob enhances gear changes through a six-speed manual transmission to tease out every ounce of driving enjoyment from the 200hp horizontally-opposed 2.0-liter four-cylinder engine. GT86 Black sport seats with FR-S signature T-pattern inserts support driver and front passenger during high G-force maneuvers. Additional comfort is provided by a dual zone automatic climate control system, while the Smart Key System with Push Button Start shows the FR-S RS 1.0 is always ready to roll. 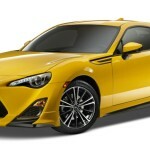 The 2015 Scion FR-S Release Series 1.0 is fitted with all the standard features of the 2015 Scion FR-S – including: a shark fin-style antenna, automatic headlamp system, an eight-speaker Display Audio system with 6.1” display, USB audio input, Automatic Sound Levelizer system and Bluetooth connectivity; comfortable seating for four adults, plus flat-folding rear seats to maximize cargo carrying versatility, and a passenger side rear walk-in assist; power door locks with keyless entry; cruise control; a driver-focused cockpit featuring multi-information display, tachometer, digital and analogue speedometer, a tilting/telescoping steering column and aluminum sport pedals with rubber inserts; power windows with auto up/down function for all windows; 12v accessory power outlet; 17” aluminum alloy wheels; power adjustable and heated exterior mirrors; and an impressive set of safety features, including six airbags, a tire pressure monitoring system and the six active technologies of the Scion Star Safety System. 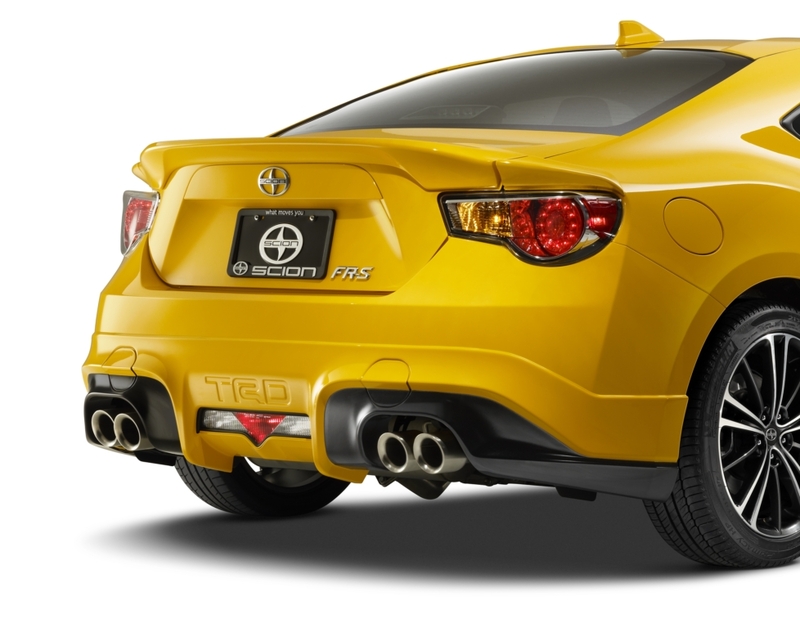 Available in limited numbers, the Yuzu-yellow 2015 Scion FR-S Release Series 1.0 is now on sale in Canada, at a starting MSRP of $32,565. For full features and specifications, photos and more, visit www.scion.ca/frs.